Tonsil stones are one of the most annoying ailments I’ve ever encountered. I wasn’t even aware of what they were until my tonsils got infected and almost swelled my throat shut. I remember when I first noticed them, I thought to myself what the hell are these? I started poking at one of them with my finger nail and it immediately started to bleed. I had no idea what these yellow creepy growths were so I started to do some research to find out what they were and how to naturally get rid of them. 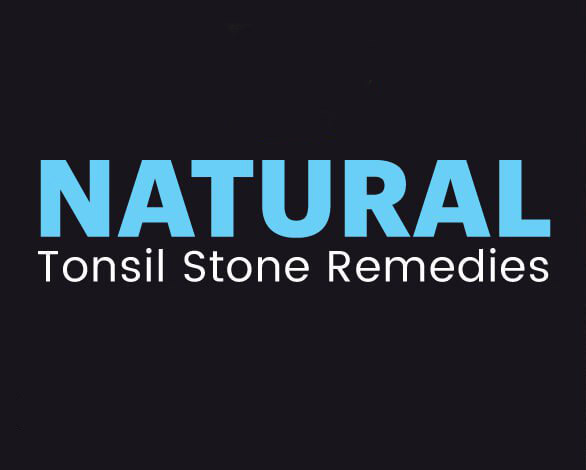 Tonsil stones or tonsilloliths are hard white or yellow formations that accumulate on and around the tonsils. They develop from bacteria, dead cells and mucous etc that have become trapped in all the crevices on the tonsils. When this happens, the debris can become concentrated into white/yellow formations that occur in the pockets of the tonsils. It’s common for people to be totally ignorant of their existence. They are not always obvious to the eye as they can range from the size of a rice grain to a large grape. What natural remedies did I try? The first recommended remedy I tried was to poke at them with a cotton swab. This didn’t work at all, these stones were too big and solid to budge. Then I tried gargling with Braggs apple cider vinegar, this helped a little, it gave me a little relief but it also didn’t work. Maybe if my stones were smaller and less solid it would’ve worked? Then finally I read that pure aloe would remove them. Luckily I have an aloe plant, so I just cut one leaf off cut out the jelly and blended 1 part aloe to 1/2 part water in my ninja blender. I then gargled and drank a half cup of the concoction 3 times. I do not recommend using anything but an aloe leaf or pure unprocessed 100% aloe juice. If you get a processed product it’s going to be missing many life-giving and healing compounds that are naturally occurring within it.